The key to reducing Total Cost of Ownership is to achieve long service intervals and short maintenance routines while using less energy. This range increases truck up-time maximising productivity and delivering high performance levels. The range also benefits from quick, safe and easy sideways battery exchange. Pre-set ECO and PRO modes can be selected for different drivers and tasks, or customised settings can be applied by service engineers. EVERY SHIFT MORE TURNING SPEED + LESS G-FORCE = TWENTY MORE MINUTES PER DAY! The logistics industry is all about time and how to save it. 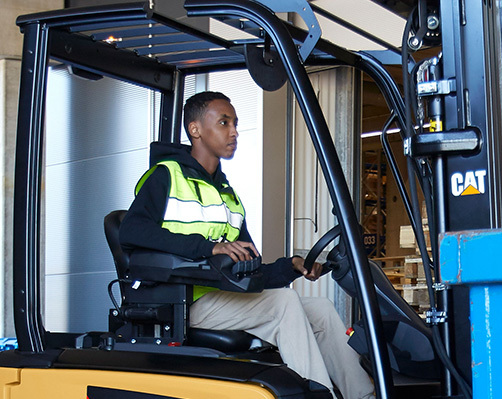 360° steering allows our 3-wheel electric lift truck to turn and move in the opposite direction in one smooth manoeuvre without stopping. 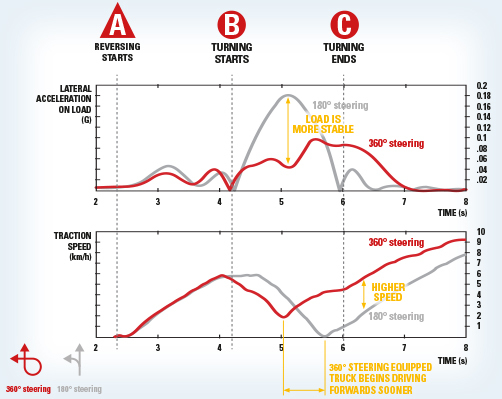 This saves time, but additionally, with lower G-forces acting on the load while turning, higher speeds can be achieved. Cycle times are improved dramatically, saving around 20 minutes per day. Over a year you could see time-savings of up to 66 hours. What difference could that productivity boost make to your business? Manoeuvring is smooth and agile thanks to dual drive ‘4-wheel steering’. A +100° rear turning axle allows the truck to be driven sideways without having to push back first. For even greater agility in turning, there is a 360° steering option. This allows the truck to turn and move in the opposite direction (180°) without stopping, and avoids destabilising the load. The amount of steering wheel turn and force required to start changing course is increased when driving fast, so there is no need for constant correcting. Activation of turning becomes instant and effortless at low speeds, making the steering lighter for precise manoeuvres. When turning, the truck uses its advanced curve control – co-ordinating the two independent front drive motors and rear steer motor – to achieve the fastest safe speed. An essential consideration in multi-shift applications working with electric trucks is utilization. We’ve worked to avoid holding up your trucks for long. 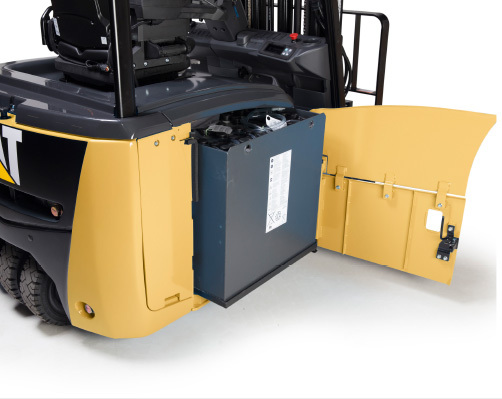 The sideways battery exchange on our trucks is quick, easy and safe to use. 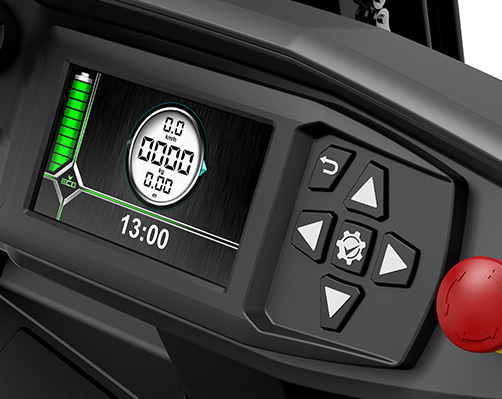 Pre-set ECO and PRO modes can be selected for different drivers and tasks, or customised settings can be applied by service engineers. 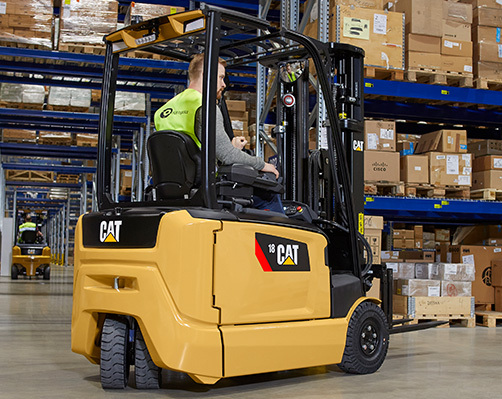 A load-sensing hydraulic system automatically adjusts for weight, to maintain precise control. 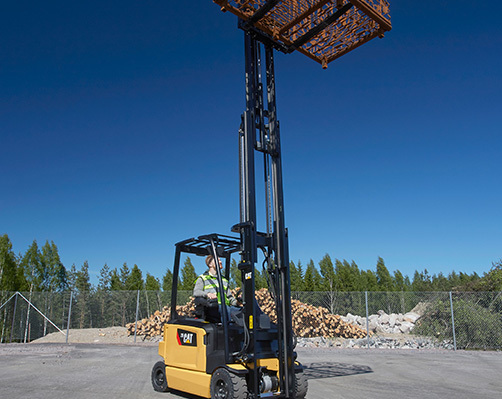 (In forklifts without intelligent hydraulics, lifting and lowering feels very different when the weight of the load is varied.) In addition, there is electronic compensation for load weight when using different hydraulic functions simultaneously (via fingertip controls), so all mast movements remain consistent.